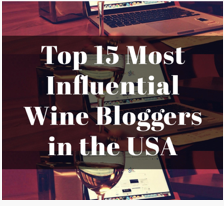 Several years ago, before I started this blog, but after I started spending my vacations visiting wine regions and every free moment learning as much as I could about the fermented grape, I focused almost exclusively on Pinot Noir and (to a lesser extent) Chardonnay. Well, my wine appreciation “home” is decidedly Champagne where those two grapes figure prominently. As I started to expand my base of wine knowledge, Burgundy was the natural next step as it was only a few hundred kilometers to the south, and few could argue that Burgundy is where Chardonnay and Pinot Noir reach their apogee. During the summer months, I was leading bike trips in France and I would visit Burgundy for a week three times every summer. On one particular occasion, we ordered a bottle of 1976 Maison Leroy Chambertin, and I was mesmerized, and instantly became obsessed with Pinot Noir. I soon moved to California and as I became more aware of American wines, I focused on Pinot and Chardonnay. Well, I was fairly familiar with their French cousins, so it seemed to be a natural jumping off point. I eventually came across the wonderful book, Pacific Pinot Noir, by John Winthrop Haeger, which reviewed hundreds of Pinot producers along the West Coast. For years, I used it as my own personal Bible, gradually becoming more enthralled with the American interpretations of the grape. One by one, with each subsequent trip out West, I would check off at least a few wineries mentioned in the tome. At first, the notes I took were all mental (and now lost forever in the morass that is my mind), but once I started this blog, I put more to pen and paper, er, keyboard and flash memory. One of the wineries that I had yet been able to visit but was certainly on my list was MacPhail Family Wines. James MacPhail learned winemaking under some of the legends of California Pinot (Merry Edwards, Gary Farrell, and Greg La Follette), and after his first release in 2002, his ascendency to the top echelon of Pinot producers was swift. Needless to say, I was elated this Spring when I was invited to visit the winery. The iconic wagon that is a symbol of the winery. In 2008, James sold the brand to the Hess Collection, but stayed on as the winemaker until June this year (the 2015 wines were started by James, but will be handled by Matt Courtney going forward). A few years ago, James and Kerry started their own label, Tongue Dancer, and make a rosé and a Sonoma Coast Pinot Noir (there is also a vineyard designate in the works, I believe). Any winery with bikes in the tank room is a place I need to visit. James MacPhail filling some magnums. I showed up at James’ winery (just a few feet from his home’s back door) on a warm, bright morning to find James seated at a table, bottling his large formats (magnums, double magnums, and a few 5-liters)–a job James said they keep putting off since it is rather tedious (and not all that enthralling to observe, either). Little did I know that would be the bulk of the conversation I would have with James, as he is a rather silent type. Once his lovely wife Kerry arrived, however, there really was not much of a need to converse with James as Kerry and I chatted for the next hour or so. Once Jim Caudill arrived (he handles most of the MacPhail marketing for Hess and is an all-around great guy), we got to tasting. We started with a bit of perhaps the brand’s iconic wine, which James was dutifully bottling into magnums. 2014 MacPhail Mardikian Estate Sonoma Coast Pinot Noir: Retail $85. Wonderful cherry and a bit of eucalyptus. Wow. Needs to settle down a bit, but this is going to be a blockbuster. Outstanding. 92-94 Points. We then tried a few wines from James and Kerry’s own label, Tongue Dancer, starting with their rosé. I usually eschew saignée rosés (since they tend to be a bit flabby) but Pinot usually can make a good saignée given its higher acidity. And that was certainly the case with the two Tongue Dancers I tasted. A couple of magnums–beautiful bottles. 2014 Tongue Dancer Rosé of Pinot Noir Sonoma Coast: Retail (Sold out). Great strawberry and cherry with a nice tartness on the finish. Outstanding. 90-92 Points. 2015 Tongue Dancer Rosé of Pinot Noir Sonoma Coast: Retail (Sold out). A bit rounder than the ’14, but with many of the same flavors. I would have liked a bit more acidity, though. Very Good. 88-90 Points. 2013 MacPhail Pratt Vineyard Chardonnay: Retail $45. A wonderful nose of lemon, pineapple, with some butter and oak. Great on the palate as well. Outstanding. 91-93 Points. 2013 Tongue Dancer Sonoma Coast Pinot Noir: Retail $45. Fantastic fruit and balance this is really nice right out of the bottle. It could easily hold up for years, but I know it would not last that long in my cellar. Outstanding. 92-94 Points. Throughout the tasting, James kept filling his larger bottles (they had moved on to Jeroboams at this point), but he would offer the well-timed comment occasionally: James is a self-professed “geek” when it comes to coopers (he buys barrels from 12 different barrel makers) and clones, as he sees the various combinations as his own little spice rack. 2014 MacPhail Vagon Rouge: Retail $65. Another iconic wine from MacPhail, which is a blend from the best barrels of all the Pinots. They were bottling this into Jeroboams at the time, but we diverted a bit into our glasses. Tight as a drum but packed with fruit. Needs a bunch of time, but watch out! Outstanding. 92-94 Points. At this point, Kerry pulled out a few wines from their own cellar that had a few years on them. 2009 MacPhail Toulouse Vineyard: Wow. ’09 and still might not be ready. Big fruit and complex. With an earthy component in the finish. Gangbusters. 91-93 Points. 2004 MacPhail Toulouse Vineyard: A bit musty on the nose, with some solid cherry behind it. On the palate silky smooth and phenomenal. Whoa. Outstanding. 93-95 Points. As with many wineries, the “back” label is technically the “front” label as it contains all the info required for the front label. 2003 MacPhail Russian River Valley Pinot Noir: Wine Spectator’s Wine of the Year in 2006. “Big the way Laube likes it” according to Kerry. A bit concentrated but in an old way, which I love, with a tiny vegetal note that also works well. On the palate, this is close to magical, with impeccable balance, good fruit, and a bit of leather that holds it all together. Whoa. Outstanding Plus. 94-96 Points. I then bid both James and Kerry adieu, and followed Jim over to the relatively new tasting room at the Barlow. 2013 MacPhail Vagon Blanc: Retail $65. As with the Rouge, the Blanc is a blend from the four best barrels. Big fruit and just the right amount of oak. Lemony and buttery. Yummy. Outstanding. 92-94 Points. 2012 MacPhail Gaps Crown Pinot Noir: Retail $49. Lightest of the three Pinots but that rich cherry characteristic. Outstanding. 91-93 Points. One of the better Chards I have had this year: The Vagon Blanc. 2012 MacPhail Sundawg Ridge Pinot Noir Green Valley of the Russian River Valley: Retail $49. Largest single vineyard production. Darker a bit bigger and earthier. Outstanding. 92-94 Points. 2012 MacPhail Pratt Vineyard Pinot Noir: Retail $49. Getting richer still. With a bit of anise now. Outstanding. 91-93 Points. The wagon sculpture at the Barlow tasting room. 2012 MacPhail Sangiacomo Vineyard Pinot Noir: Retail $49. The vineyard is one of the more iconic names in the Valley, located just below Gap’s Crown. Only 7 barrels produced. 50% New French oak. Luscious fruit but also earthy. Whoa. Outstanding Plus. 94-96 Points. 2012 MacPhail The Flyer: Retail $59. The wine is basically fruit that James comes across and takes a Flyer on. Usually a blend, but this year was just from Suzanna’s vineyard, with Swan Calera and Mt Eden clones. Rich and fruity. The big side of Pinot Noir. Outstanding. 92-94 Points. This entry was posted in Chardonnay, Pinot Noir, Wine. Bookmark the permalink. Is there a story behind that wagon sculpture? The wagon is a symbol of the winery–James used to ride in the wagon with his sister, I believe. Thanks for a new book recommendation. He has written a few books on N. American Pinot.